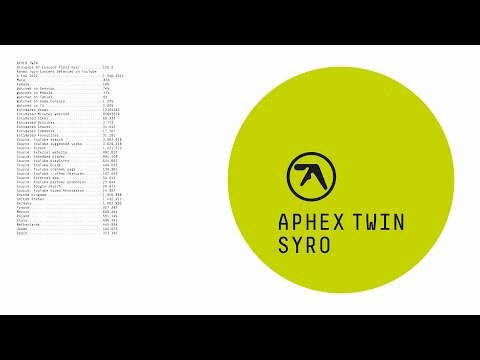 Syro (pronounced /sa?ro?/; often stylised as SYRO) is a studio album by the British electronic musician Richard D James, released under the pseudonym Aphex Twin on 19 September 2014 on Warp Records. It is his sixth studio album as Aphex Twin and his first studio album release in 13 years since Drukqs (2001). 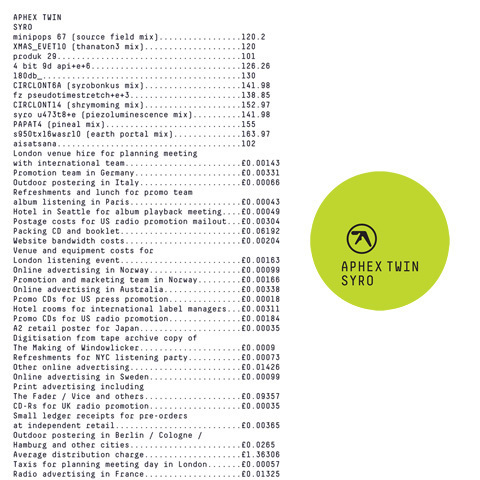 The album is also his first official release as Aphex Twin since Chosen Lords (2006), a compilation of tracks from the Analord series. 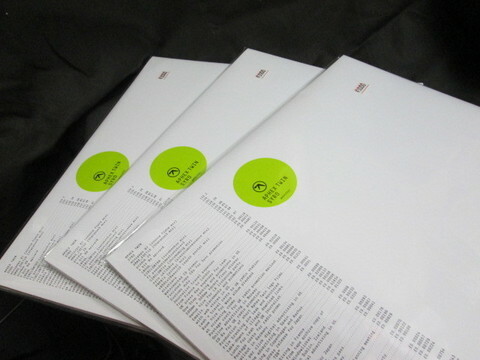 Recorded over a period of several years in various studios—including James&apos; own studio in rural Scotland—Syro features 12 tracks and incorporates several subgenres of electronic music including techno, glitch, jungle and ambient.